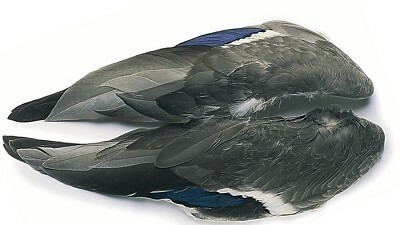 Mallard wings have many uses including grey primary quills for the Blae series both wet and dry. Butcher Blues and white satins as used in the original Coachman. Whole wings have complete sets of Grey duck quills and blue white tips.